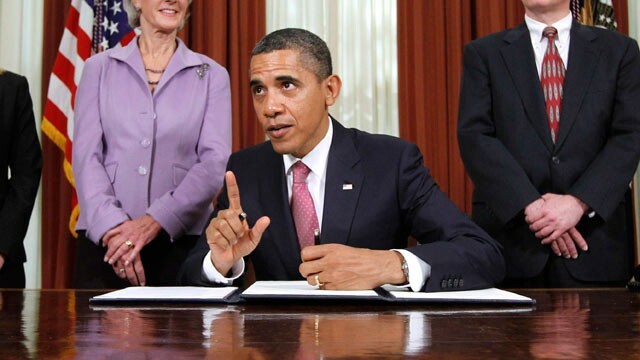 Obama Executive Order: Preparation For War With Iran? Some analysts fear that the Obama administration�s recently passed executive order represents more than just a power grab and could in fact be part of preparations for a war with Iran. However, a key addition to the language made by Obama is that all these industries and means of production can be seized �under both emergency and non-emergency conditions�. This represents an effort to lay the groundwork for the complete nationalization of the U.S. economy. It could also mean the Obama administration is now on a war footing for an imminent conflict with Iran, according to market analysts. The order �is either a serious power grip or another sign that inside the deep recesses of the White House, they are preparing for war,� Phil Flynn, an energy analyst at PFGBest, told MarketWatch.